Click here to download the printable PDF of eNews 254. Post-Convention Cruise out of Mobile, Ala. to Costa Maya and Cozumel! Following the 2019 LWML Convention, join your LWML family on a five-night, post-convention cruise for well-deserved rest and relaxation as well as fun and fellowship with old and new friends. Carnival Cruise Line’s Fantasy will be sailing June 24–29, 2019 out of Mobile, Ala. to Costa Maya and Cozumel. Would you like to take part in this fun getaway? Registration is now open, so book as early as possible to get the cabin you prefer. Note: Cabins that are being held in reservation by the travel agent for LWML, will be given back to Carnival Cruise Line in March, so now is the time to contact McGehee Cruise & Vacation Inc. who will be happy to assist with all reservations for the cruise. Use this secure link for further information and questions! More Pre and Post-Convention Appealing Tours! 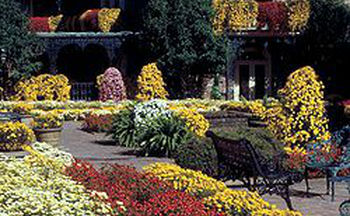 Come early and stay afterwards from convention to enjoy many exciting half, full, and multi day tours that have been planned just for convention attendees. To view the in-depth descriptive tours’ flyer, click here: unite-production.s3.amazonaws.com/tenants/lwml/attachments/176113/2019Convention-Tours-flyer.pdf. Please share with others in your district. Post on your district and local church websites and newsletters. Make sure all your women see this to consider participation in these exciting tours, learning more about the Mobile, Alabama area. The weblink to the 2019 LWML Convention tours is: www.baycityconventions.com/lwml-2019-group-tours. Praise to the Lord for the nearly $1,625,000 received so far, and we pray for His blessing upon the grant recipients still waiting for funding in order to compete their planned Gospel outreach. Please continue to fill your Mite Boxes and/or donate your gifts online at lwml.org/donate-online to fully fund all our 22 LWML Mission Grants by the end of the 2017–2019 biennium’s fiscal year of March 31, 2019. Fill the thermometer to the top with overflowing generosity! The LWML recently received the following letter in appreciation for mission grant funds given by your Mite Box offerings. To read more about how your mite offerings have made an impact on this LWML mission grant as well as others, click www.lwml.org/thanks. At the recent Prison Ministry Conference held in St. Louis, Mo., August 17–18, 2018, videos were taken of the various presentations and workshops. 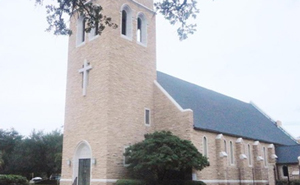 This was made possible by a grant received from the LWML and orchestrated by the Southern Illinois, LCMS District Prison Ministry Task Force with the support of Synod’s Office of National Mission. Rev. Dr. Sanchez - Sanctification and Ministry to Inmates. Pastor Tim Carter - Product of our Environment. Pastor David Otten - Millennials and Generation Z.
Rev. David Kollmeyer - Dealing with Various Faith Groups Part A.
Pastor Tim Weiser - Survey of Settings. Chaplain Lorinda Schwarz - Creative Programming. Rev. Vincent Stanley - Anxiety What Stresses You out. Rev. Jim Rivett - Get Your Feet in the Door. Rev. James Keurulainen - Proclaiming His Presence to Set the Prisoner Free. Rev. Eric Schillo - The Criminal Personality. Resources such as the Prison and Jail Ministry brochure may be found on the LCMS Specialized Pastoral Ministry website at www.lcms.org/spm. Looking at the LWML Mission, Vision, and Primary Focus statements, one sees these words: assist each woman, each woman is welcomed, we offer each woman, we accept and encourage each woman, we equip each woman. 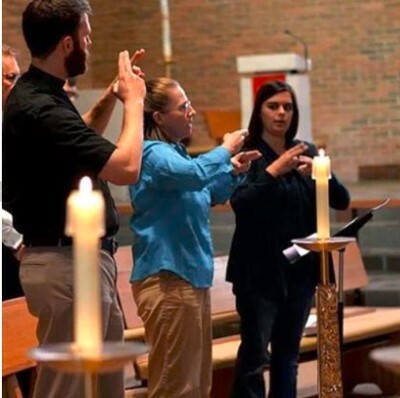 Many of the LCMS congregations have deaf sisters; and sometimes we, Lutheran Women in Mission, do not reach out to them because of a preconceived language barrier. We think we cannot communicate, but we can with love. Now available are some resources on the LWML website to help equip us in this outreach to support and encourage the deaf and hard of hearing women in our church, and to involve them in active participation in the LWML. You can find more information on lwml.org/deaf-ministry. 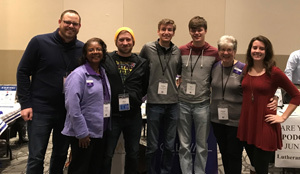 If you are involved in Deaf Ministry in your church, please contact LWML Vice President of Special Focus Ministries Kaye Wolff at depsfm@lwml.org. LWML welcomes your assistance with outreach ideas and resources. 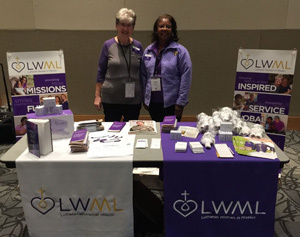 LWML Vice President of Special Focus Ministries Kaye Wolff and LWML Indiana District President Marge Gruber represented LWML as exhibitors at the LCMS Campus Ministry Conference, Fort Wayne, Ind., January 2–5, 2019. Kaye reported that she and Marge gave out LWML products, but received in return something so much more valuable - Hope, knowing that these young people are our future leaders. 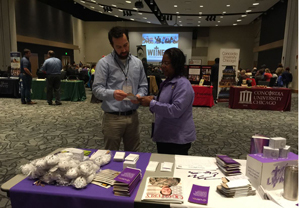 The conference was attended by 300 college students and campus ministry pastors. Kaye addressed the group with greetings from the LWML, encouraging young women to participate, and young men to learn about the LWML so that they would understand and support their wives, or perhaps become a pastoral counselor. Kaye and Marge had the opportunity to talk one-on-one, and during meal times with many students and pastors. Young men commented that their mothers or grandmothers were in the LWML. A few young ladies had a Bible study group at their university, and asked how to join the LWML. Their best response about how to get connected was to go to the LWML website for resources, and get connected with the district president. Pictured here are Kaye and Marge sharing their joy of serving the Lord with gladness. LWML President Patti Ross, LWML VP of Gospel Outreach Jennifer Huecker, LWML VP of Organizational Resources Debbie Larson, and Linda Arnold will participate in the Best Practices for Ministry Conference, February 21–23, 2019 held at Christ Lutheran Church, Phoenix, Ariz. Nearly 2,500 will attend this Bible-based, Gospel-centered, mission-driven, and future-oriented conference with this year’s theme, “You Are Not Alone.” The LWML was selected to present two seminars which will focus on applying for and receiving mission grant funds. These Lutheran Women in Mission will also be sharing about LWML’s mission, ministry, and resources at an exhibit booth. 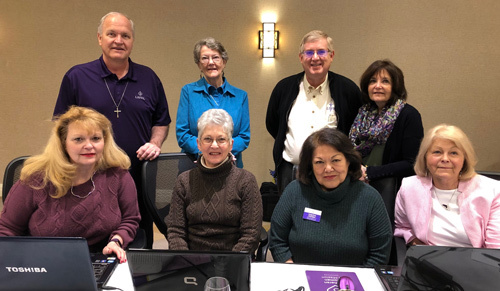 The LWML Mission Grants Selection Committee met in St. Louis, Missouri, January 8–11, reviewing 81 grant requests and selecting 31 to be on the ballot at the 2019 LWML Convention in Mobile, Alabama. LWML President Patti Ross, who was in attendance, stated that each grant request represents a wonderful ministry of our Triune God taking place! Pictured here: (front row L to R) Leslie Colligan, Sylvia Bean, LWML Vice President of Mission Grants Angelina Jauregui, Susan Donnelly. (back row L to R) LWML Sr. Pastoral Counselor Rev. Robert Mundahl, Janell McKinstry, LWML Jr. Pastoral Counselor Rev. Mitchel Schuessler, Jan Simmons. The LWML Gifts of Love ministry has been partnering with LWML women, their spouses, and heirs to discover how they can minimize taxes, bless their family, share their faith, and support God’s ongoing kingdom ministry through their estate. All services provided to our members are at no charge. As we realize the amazing benefits of this ministry, we desire to continue - and even grow! Pat Bilow and Linda Gage have been faithful Gift Planning Counselors in the first decade, but we are looking toward the future, and the addition of another full-time counselor, - to better serve our districts. To expand our donor base and support future growth, we developed the Help | Love | Grow program. LWML Past President Gloria Edwards and Gift Planning Advocate Cheryl Keithly both donated $25,000 in matching funds. With donations of $50,000 from LWML members, the Gifts of Love ministry will receive a total of $100,000. A huge blessing, indeed! Would you partner with us to reach this goal? For more information about Help | Love | Grow and/or donate, click lwml.org/pledge.